When Luca Longobardi announced that he was working on a new album, I knew something good was coming, but I never expected it to be this good. And I don’t say this because I think Longobardi is a bad musician – on the contrary, I consider him a wonderful composer; a very innovative one. However, and I must be honest here, most piano-based albums tend to bore me. They bore me unless they are exceptionally good, unless they revolve every corner of my soul, which is quite challenging to achieve. Some remarkable contemporary classical albums are, in my opinion, Romantic Works by Keaton Henson, Music for the Motion Picture Victoria and Spaces by Nils Frahm, and The Chopin Project by Ólafur Arnalds & Alice Sara Ott. Today, I am glad to add Plume to said list. Plume is perfectly balanced. It has long notes that together form some of the most beautiful melodies I have listened to this year, familiar yet unpredictable chord progressions, and fast arpeggios that will excite you to the core. During most of the album, Longobardi begins playing piano solo passages while slowly preparing the ambience for the climax, which arrives at around three quarters of each piece with a well-defined rhythmic section and synths, to finalize with the soft piano melodies from each beginning – a very common resource in Luca’s music that doesn’t seem to get boring at all. Other aspects that he manages quite well are the silences and pauses, which are very important in music, and the unexpected but never forced ways in which he moves from one section to another. Apart from his technique, one must also congratulate this Italian composer for the deepness and beauty of the images and feelings transmitted by his work. To review this album, I listened to it every night for a week, and I always felt I was living in an independent European nostalgic film. Yes, I think nostalgic is the right adjective for this album, but with a touch of hope. And I might not be too far from the real meaning of Plume, since Luca explains that he composed it while grieving a very close person and that, at that time, he moved the upright piano he had since he was a kid from his parents’ house in the south of Italy to his apartment in Rome. These events are somehow the emotional base of Plume, which despite having a melancholic air most of the time, feels like a calm and necessary new chapter in someone’s life. Plume is opening a window and observing the first rays of sunlight while hearing a bird sing for the very first time after a heavy storm has just passed. memories. Heavy and light, light and heavy, like wrinkles, hours, words, like whales, like sails. This album is a complete work of art that will not give you the opportunity of finding fissures anywhere at all. The bonus tracks, remixes by Rome-based electronic musicians Decomposer, Mangrovia, and Valerio Maina, are beautiful and complement the original versions, and the artwork does justice to the music and explains the concept very well. There’s nothing left to say other than a ‘thank you’ to Luca from the bottom of my heart for bringing to life such a stupendous album. 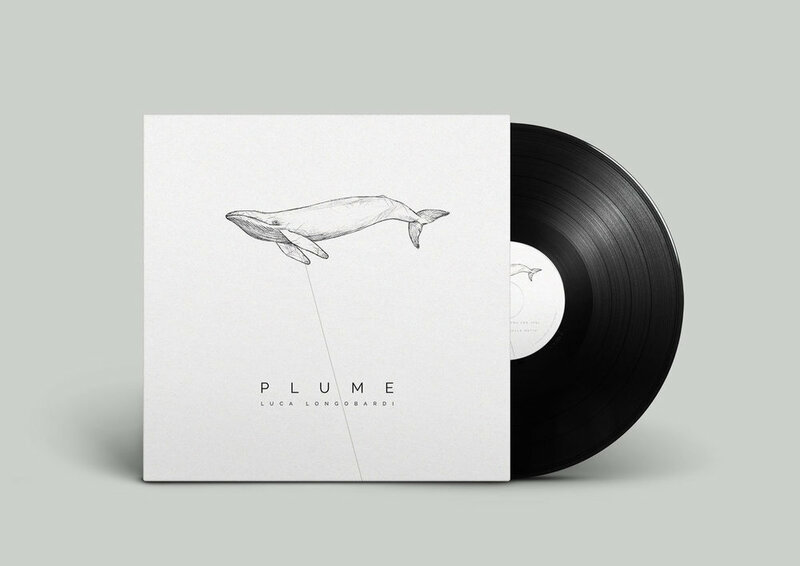 Plume is available digitally on Spotify and on limited vinyl edition at Bandcamp.